FireFTP 2.0.24 is a Firefox extension that can transform the Firefox web browser into a FTP client. FireFTP was created by a publisher called Mime Cuvalo and this updated version was released on the 19th May 2015. It works like an online file manager and you will be able to download/upload files smoothly into your FTP server. Since this is an extension, you don’t have to run any setup to install it. You only have to download a XPI file and then go to the extension page to activate it. The size of the FireFTP extension is 852 KB. 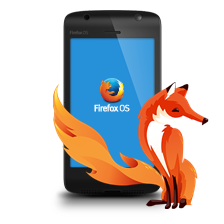 After you have installed the add-on, you can restart the Mozilla Firefox browser and the add-on will be ready to use. You will be able to explore the folders and files on your FTP server just as if you are using a FTP client. You can upload/download a file onto the server by clicking on the appropriate arrow in the middle. The files can also be uploaded/downloaded by dragging from one panel to another. You can save the FTP connection so that you can conveniently connect to the server the next time without having to enter the FTP details of the server again. The FTP connection that is saved can be accessed via the menu on top. The synchronization feature allows you to download/upload files at the same time. The synchronization feature can also be used to create two identical folders. FireFTP 2.0.24 supports advanced features including remote editing, integrity checks and file hashing. You can connect to your server by using various security protocols such as SFTP. It offers support for command lines and synchronization feature. The synchronization feature allows you to download/upload files at the same time. You can create two identical folders on the FTP server without any problem.